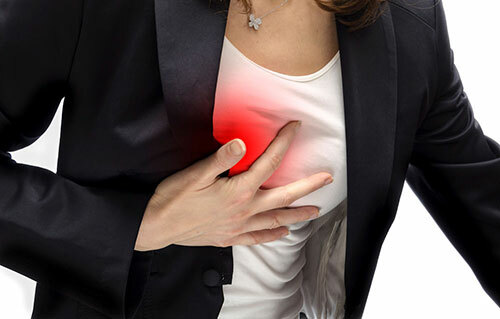 Sudden feelings of chest pain or tightness are usually signs of heart disease. But not all heart problems are apparent. In fact, latest studies show that there is a mysterious heart disease that usually affects people aged 40, which is regarded as the peak age of onset. It's mysterious because this heart disease is very difficult to recognize and diagnose even if it is represented by severe chest pain. In many cases, chest pain acts like a warning device to show that there is some problem with the body. However, there's another type of heart disease that is asymptomatic. Meaning to say, this condition does not produce or show symptoms, yet it can cause heart attack or cardiac arrest resulting to sudden death. In this article, we'll tell you the latest information on these two types of hidden heart disease. Mysterious Angina – Can't Find the Cause? Angina or angina pectoris is a heart condition characterized by sudden chest pain due to reduced supply of blood and oxygen to the heart caused by thickening and hardening of coronary arteries (arteriosclerosis). However, there's a mysterious type of angina that also causes severe chest pain but is very hard to recognize. People at late 40s are usually affected with this condition. Since this heart problem is difficult to diagnose, an ordinary clinical examination won't be able to find the cause of the problem. 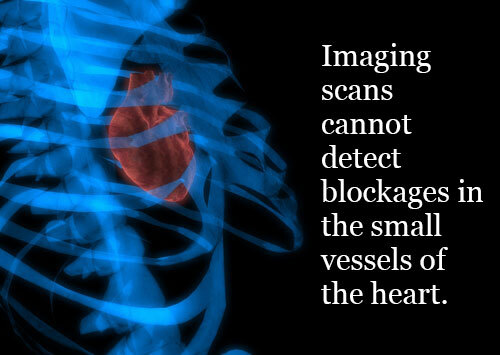 Imaging scans are commonly used to diagnose heart problems and determine the narrowed blood vessels in the arteries. 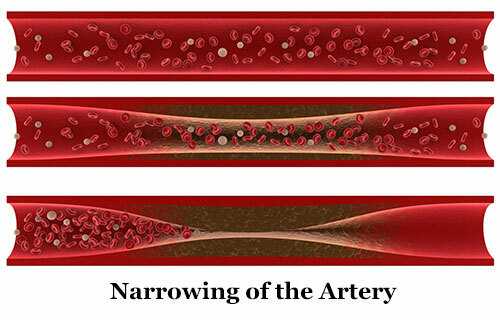 With this mysterious angina, these narrowed blood vessels are undetectable through imaging scans. Because of this, clinical examinations will only be able to diagnose it as "angina" at the later stage of the condition—typically, after the patient has been suffering with the symptoms for more than 15 years. What exactly is this mysterious angina? When it comes to the heart's blood supply, the first thing that comes to mind is the large coronary artery. But what are usually ignored are the very fine blood vessels branching from these coronary arteries. These fine vessels do not appear in cardiac imaging tests when in fact these are the ones that may actually be narrowing! Latest studies show that women are actually more prone to this condition than men because of the hormone estrogen. It is known that the estrogen hormone helps increase blood flow by dilating blood vessels. Therefore, one of the considered major causes of this mysterious angina is the decline in female hormone estrogen. This mysterious heart disease is medically known as "Microvascular Angina" or "Cardiac Syndrome X". About 1 out of 10 menopausal women develop this disease. Rarely does microvascular angina progress to serious conditions, but it can significantly impair the quality of life as heavy chest pain worsens. The pain may last as short as five minutes or continue for as long as half a day. We recommend that you consult your doctor as you begin to experience worrisome symptoms including headaches, cold, and fatigue. Hormone replacement therapy if concurrent menopausal symptoms are experienced. Calcium channel blockers to widen the blood vessels and lower blood pressure. Pinching Feeling in Chest but Without Pain? What is the Reason? There's another type of heart disease that is asymptomatic, producing or exhibiting no symptoms at all. With this condition, you won't feel any pain in your chest despite having narrower coronary arteries. By the time symptoms arise, it's usually too late and you'll be diagnosed with severe angina. Painless angina is medically known as silent or asymptomatic myocardial ischemia. Diabetes – Damaged sensory nerves are one of the complications of diabetes. Sensory nerves are responsible in carrying signals like pain from the body to the brain. You won't feel chest or heart pain if these nerves are impaired. Aging – There is a decline in most sensory systems as humans age, which of course include the density of nerves carrying pain signals. This is especially true for elderly people. Although no pain will be felt by the patient suffering from asymptomatic (silent) myocardial ischemia, chest pinching can be one of the indications of the condition. Non-stop coughing or feeling of suffocation may also happen due to fluid accumulation in the lungs, which in effect caused by the heart problem. Both microvascular angina and silent asymptomatic myocardial ischemia can increase a person's chance of getting stroke and sudden death if left untreated. Hormone replacement therapy for women, and calcium channel blockers, can help relieve symptoms and slow the progression of microvascular angina or cardiac syndrome X. Elderly people and people with diabetes are recommended to undergo regular heart screening process to prevent further complications.